Ben Hoover is an experienced trial attorney who dedicates the majority of his practice to representing the injured. Additionally, Ben represents clients in criminal law matters. MoreBen Hoover is an experienced trial attorney who dedicates the majority of his practice to representing the injured. Additionally, Ben represents clients in criminal law matters. Ben joined The Nix Law Firm in 2012 after serving as a prosecutor in the Wichita County District Attorney’s Office for 5 years. Ben is dedicated to serving clients with an aggressive approach that achieves results. The Nix Law Firm pursues justice for people who have suffered harm at the hands of others. Ben believes that every client is important, regardless of whether his or her damages were catastrophic or less severe. In addition, Ben defends people who have been accused of crimes and firmly believes that everyone is entitled to a presumption of innocence. During his tenure at the District Attorney’s Office, Ben prosecuted hundreds of felony and misdemeanor cases. He also prosecuted asset forfeiture cases involving contraband valued in the hundreds of thousands of dollars. From 2007-2011, he tried more jury trials in the District and County Courts of Wichita County than any other lawyer. Ben was lead-counsel in 20 felony jury trials during that period, along with numerous misdemeanor trials. In 2007, he became the first Texas prosecutor to try a gang injunction violation case to a jury. In addition to trial work, he has authored appeals filed in both the Texas Supreme Court and Courts of Appeals. He now utilizes his experience for the benefit of his clients. Ben was elected as a Fellow of the Texas Bar Foundation in 2014. Less than one percent of attorneys are selected each year for this distinction. The Times Record News recognized Ben as a 20 Under 40 recipient in 2012 for career achievement and community involvement. Ben was the President of the Wichita County Bar Association from 2010-2011, having previously served as both an officer and director. In 2010, the Texas District and County Attorney’s Association appointed Ben to serve on the Editorial Committee for The Texas Prosecutor, the statewide publication for prosecutors. In addition to an active law practice, Ben was elected as a Wichita Falls City Councilor for District 1 in May 2013 and will serve a two-year term through 2015. He also enjoys teaching criminal justice courses as an adjunct professor of criminal justice at Midwestern State University, having done so since 2008. He has also been a guest lecturer for criminal justice courses at his alma mater, Howard Payne University (HPU). 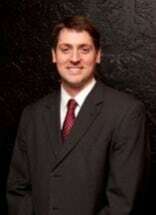 During law school at Texas Tech, Ben was a successful competitor in Board of Barristers trial competitions. He also worked part-time in the Texas Tech Athletic Department as a mentor to student athletes. While at HPU, Ben was elected as the Student Body President by his peers and also participated in undergraduate moot court competitions. Ben is married to Meagan and has two children, Grant and Blair. His interests include various sports, hunting and fishing, and spending time with his family. Ben was raised in Paradise, Texas. His family attends Grace Church in Wichita Falls.